The "Assault on Mt. 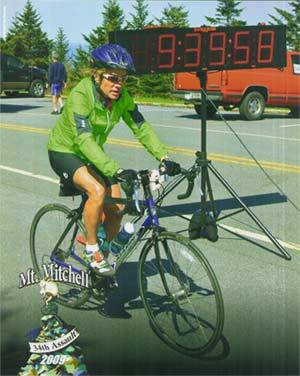 Mitchell is one of the most challenging bike rides in the country. The ride starts in Spartanburg, SC and ends at the summit of Mount Mitchell in Mount Mitchell State Park in Yancey County, NC. The ride distance is 102 miles and has over 11,000 vertical feet of climbing. Jennifer completed this ride in the time you see in the photo. Jennifer does not believe in diets unless absolutely necessary! By exercising consistantly you should be able to eat what you like in small amounts. However eating the right foods makes your body strong and beautiful. 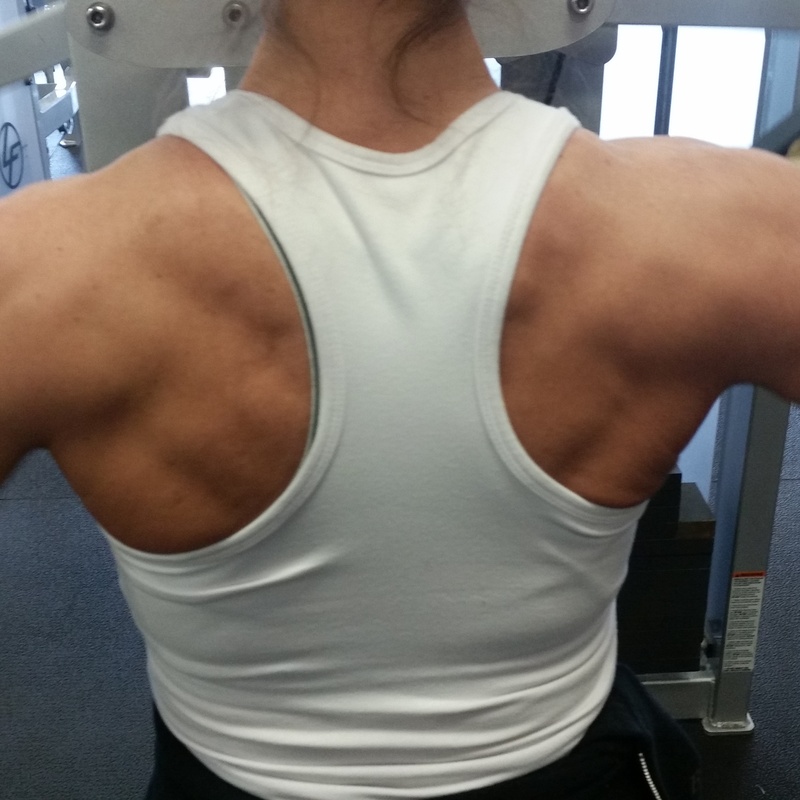 Not everyone wants to be a bodybuilder... just to be fit and in shape AND healthy! The initial session takes approximately 1-1/2 hours and begins with your interview, in which Jennifer will cover everything from your current eating habits to your personal goals and how to attain them. This is followed by a question and answer period during which Jennifer will share lots of new knowledge. We will move on to taking your measurements for the record (they change very quickly). Then she will roceed to a full body workout to determine your current state of fitness and muscle balance (this is how she will build your training program). At this time you may choose any of our programs, or continue on your own. Working with a World-class personal fitness trainer will bring you faster results in a safer environment than working on your own, but we make it a point to teach you how to work out on your own safely to achieve maximum results.